← A treasure trove from cousin Mike! 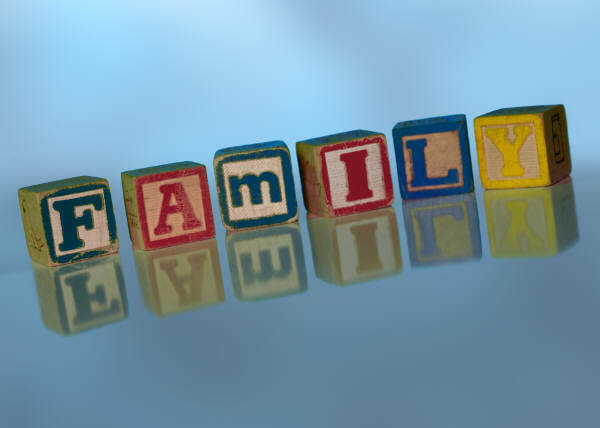 Family History Month was first observed 10 years ago. Utah Senator Orrin Hatch introduced a resolution on September 12, 2001, to designate the month of October as Family History Month. Hatch had circulated a draft for months, but formally introduced it the day after the 9/11 attacks. In the uncertain aftermath of that day, the words of the resolution resonated with many Americans. The resolution passed by unanimous consent. This month is a good time to plan some activities centered on talking about your family’s past with your children and/or grandchildren. Kids are always interested in learning more about their own personal history. Making a personal connection to historical events the kids learn about in school really can make history come alive for them. If children learn they have an ancestor who fought in the Civil War, they are much more likely to pay attention when the subject comes up in class. Learn more about American history through the National Parks Service and the National Register of Historic Places. This site offers actual lesson plans for teachers (and parents) to use in teaching their children about history, including Abraham Lincoln and Nancy Hanks Lincoln; Dr. Manassa T. Pope, an African-American doctor and entrepreneur; the Civil War; John F. Kennedy; William Howard Taft; the Vanderbilts; Edward Penniman, who captained a 19th century Massachusetts-based whaling ship. All kinds of interesting information. For those of you who have been “bitten ” by the genealogy bug, Family Tree magazine has posted a FREE webinar you can watch online to learn more about how to begin researching your family tree. 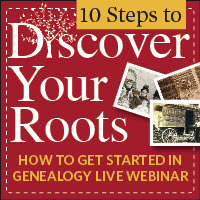 It’s called: Ten Steps to Discover Your Roots and is presented by Family Tree contributors Allison Dolan, Diane Haddad, David A. Fryxell, Nancy Hendrickson and Lisa Louise Cooke of Genealogy Gems. Click here to access the webinar. Be patient – it takes a little while for the webinar to load. Check with your local library, as many public libraries are hosting a number of free programs and events to commemorate National Family History Month, including tours of their genealogical research sections, free genealogy classes and presentations, etc. Take the kids on a walking tour of a cemetery. The fall colors are gorgeous, it’s a great way to find long-lost ancestors and get a little fresh air and exercise in the outdoors. Follow the excursion with a trip to your favorite local orchard or fruit vendor for apples and apple cider! And here is an infographic with some interesting information about America and immigration. It’s from 2011, but I still think it is cool. Enjoy! This entry was posted in Family History, Genealogy How To's, Libraries and tagged Family History Month. Bookmark the permalink. 1 Response to October is Family History Month!